This image provides a fascinating glimpse of how monks would have used a music manuscript like this one. 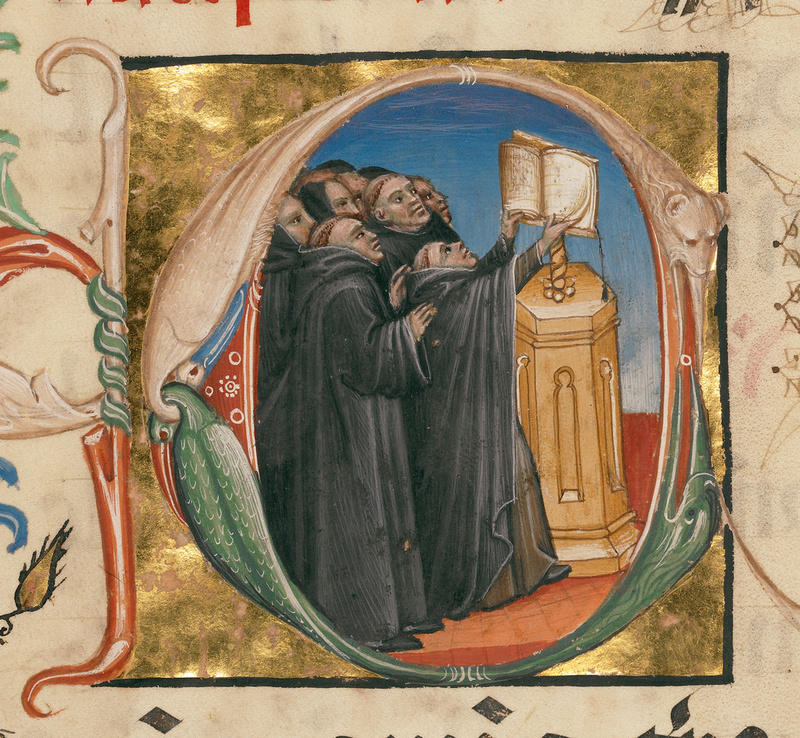 A group of monks dressed in the black, hooded robes of the Benedictine order gathers around a book on a lectern. The shortest monk, who stands at the front of the group, is responsible for turning the pages. 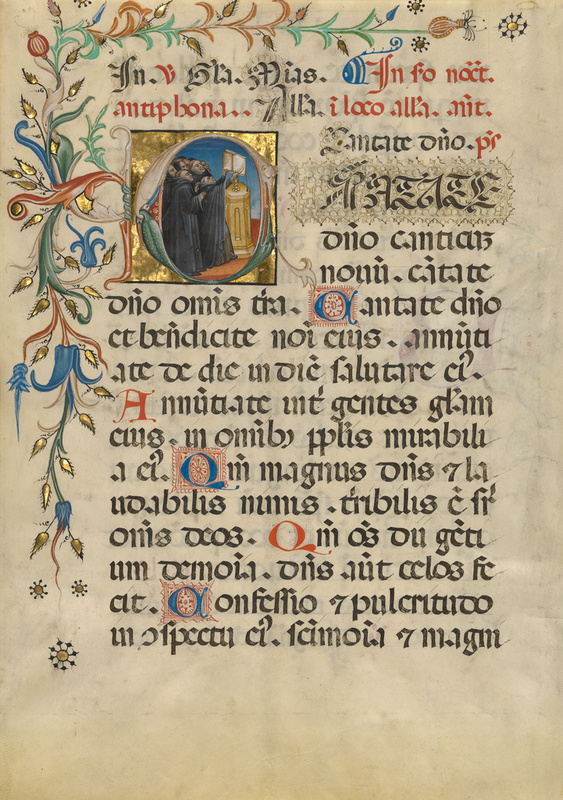 This leaf comes from a breviary, a book that contains of the sung and spoken texts used in the Divine Office, the daily cycle of prayers said at monasteries.